Mom With Her 6 Years Old Daughter Walking Along City Street And Eating Ice Cream In Front Of The Outdoor Cafe. Good Relations Of Parent And Child. Happy Moments Together. Royalty Free Fotografie A Reklamní Fotografie. Image 73348928. 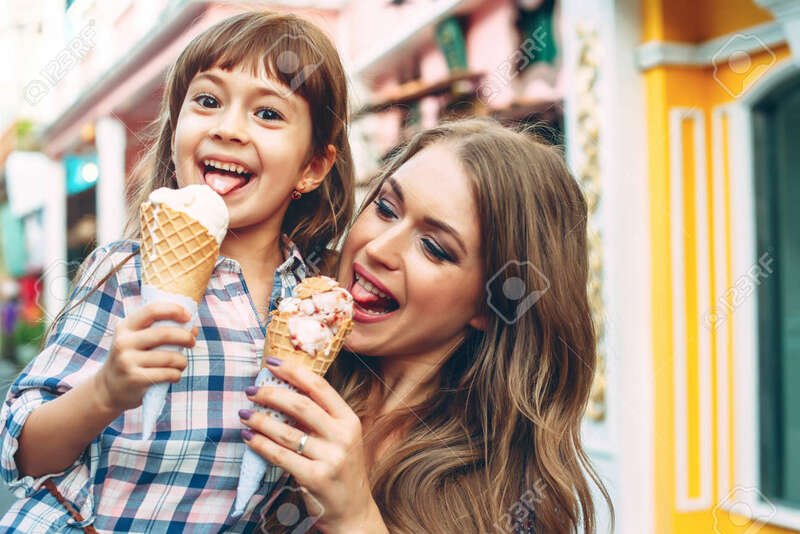 Reklamní fotografie - Mom with her 6 years old daughter walking along city street and eating ice cream in front of the outdoor cafe. Good relations of parent and child. Happy moments together. Mom with her 6 years old daughter walking along city street and eating ice cream in front of the outdoor cafe. Good relations of parent and child. Happy moments together.